Home » What's New » My Child Is Having Trouble In School: Visual Problem or Learning Disability? One visual difficulty that your child may be having is convergence insufficiency. Our eyes are designed to work in tandem, but each one functions independently. When a person looks at an object, each eye records an image independently, and the two images are interpreted in the brain into a single, unified image. This process is called binocular fusion. With convergence insufficiency, the eyes do not aim at the exact same spot when looking up close, making binocular fusion impossible. This can cause your child to see words on a page with double vision and/or cause the words to look as though they are moving across the page. The resulting difficulty in learning and reading can lead to a misdiagnosis that your child has a learning disability or dyslexia. Furthermore, the resulting difficulty can cause the child to have problems maintaining attention on a task, leading the child to be misdiagnosed with attention deficit disorder (ADD). 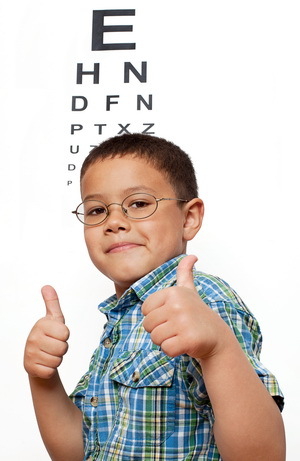 Your child may also be having difficulty with vision tracking. This is the ability of the eye to control the fine eye movements necessary to successfully move across a page of text. Proper control of fine eye movements allows one to avoid overshooting or undershooting the next word or words on a page, and allows one to stay on the same line of text until it's finished. “The child's inability to control these finer eye movements at close range causes the child to lose his/her place easily, skip or transpose words, and have difficulty comprehending what was read. These are all symptoms which are also commonly associated with dyslexia, and could lead to a misdiagnosis,” cautions Dr. Nichols. Children should have routine comprehensive eye exams to detect if any problems such as tracking difficulties or convergence insufficiency are present. This is important to catch any problems before your child begins to fall behind, and will avoid misdiagnoses that could adversely effect your child's learning for years to come. 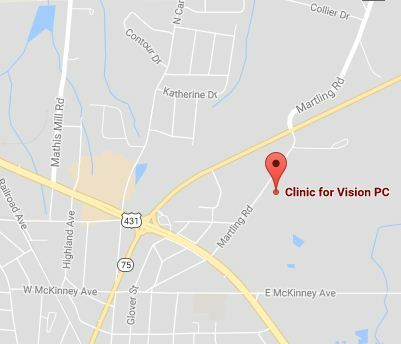 For more information, contact Clinic for Vision PC today.